Bleating Heart Cheese began in 2009 with a mission to produce unique, handcrafted “American Original” cheeses. The inspiration came shortly after founder Seana Doughty quit her desk job to go work at a neighborhood cheese shop, Venissimo, in Del Mar, CA. Finding herself thoroughly smitten by the science and art of cheese, especially sheep milk cheese, Seana started down the road to becoming a cheesemaker and never looked back. 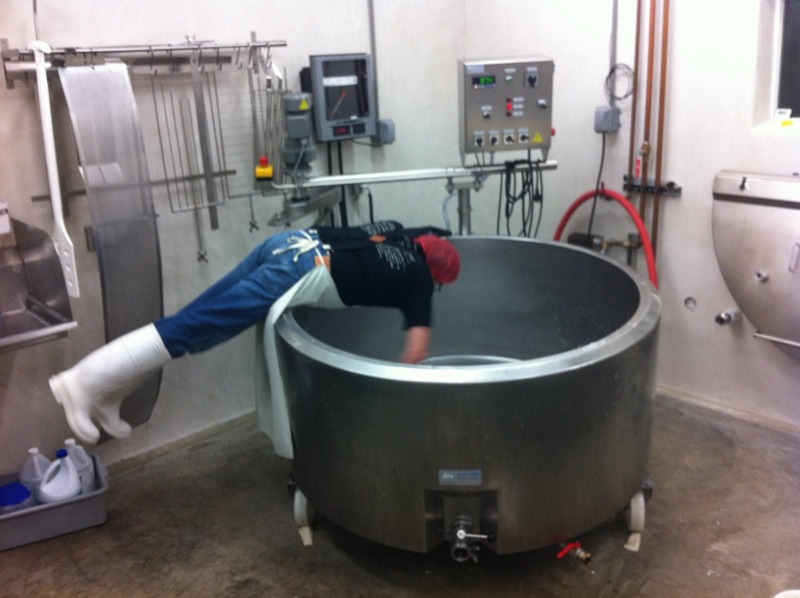 Relocating to the lush Sonoma-Marin cheese region north of San Francisco, Seana made the first batch of Bleating Heart cheese in June 2009. 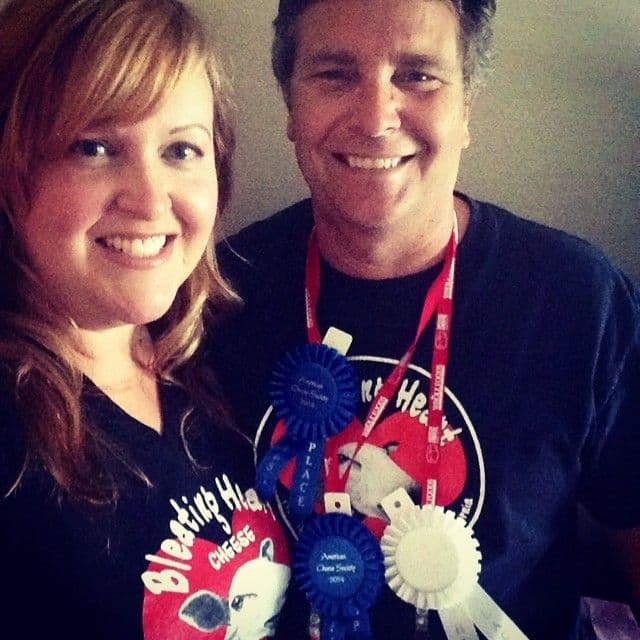 Not long after starting Bleating Heart as a one-woman operation, Seana's husband, Dave Dalton, became fully immersed in the business as well. Leaving behind careers in academic research administration, the husband & wife duo now lead all aspects of Bleating Heart together. Seana and Dave wear many hats, working both on and in the business with help from their small crew of awesome cheese loving employees, all faithfully following the Bleating Heart mantra: making seriously good cheeses without taking ourselves too seriously. Read more about our history on the "Our Stories" menu link. Seana grew up in the suburbs of Southern California where she had zero farm experience and little exposure to fine cheeses. In 2008, she quit her desk job and got a cheese shop gig at Venissimo in Del Mar, CA. It was behind the cheese counter where Seana finally figured out what she wanted to be when she grew up: a cheesemaker. 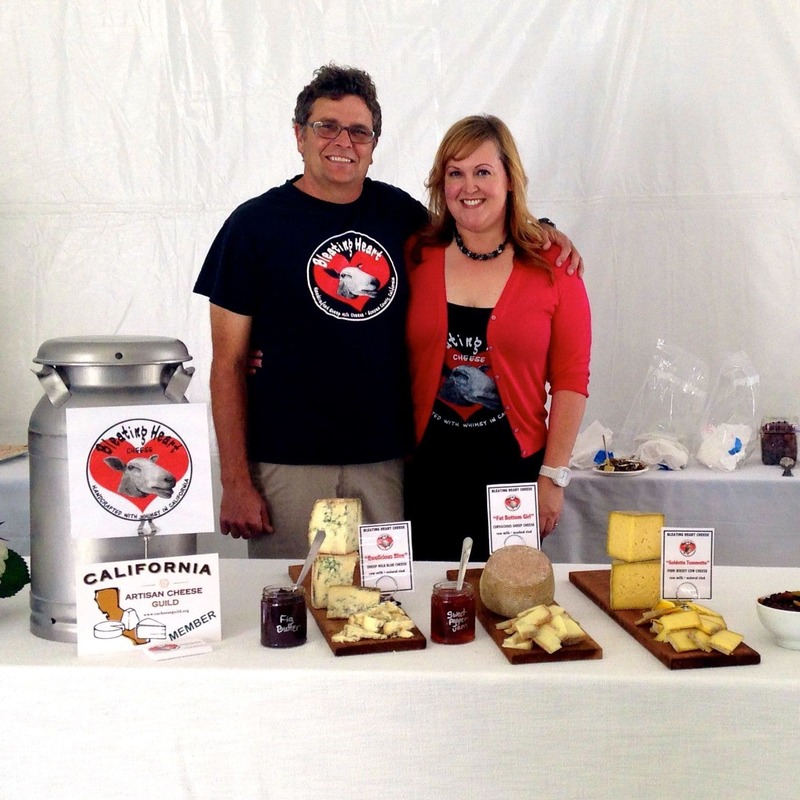 She brought her first cheese to market less than a year later in August 2009, and co-founded California’s 5th licensed sheep dairy in June 2010 to secure a steady supply of sheep milk for her cheese. 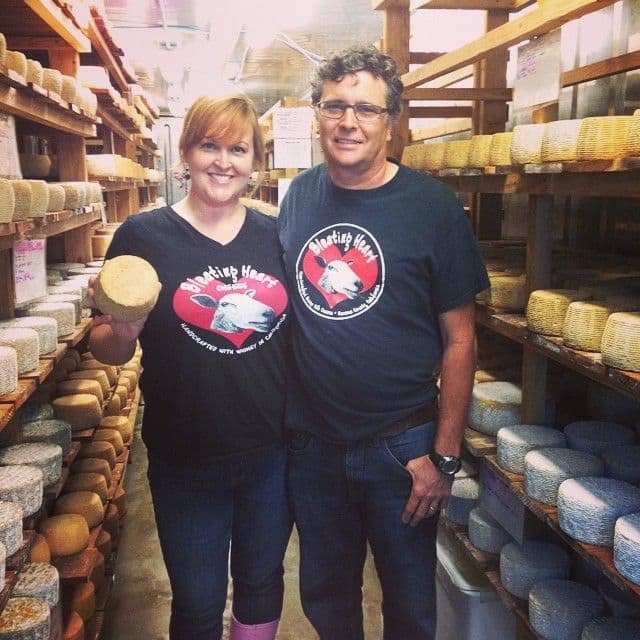 Seana is the Founder and Co-Owner, as well as Head Cheesemaker and Affineur at Bleating Heart Cheese. Besides thinking about the making and aging of the cheeses every waking moment, she is also the creative force behind the whimsical cheese names and slogans, and takes the lead on all sales and marketing. 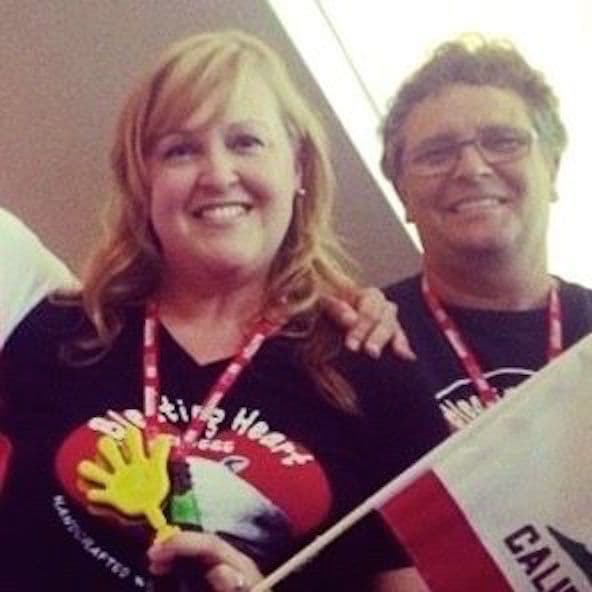 Seana is a member of the American Cheese Society and the California Artisan Cheese Guild, where she served on the Board of Directors for 5 years, 2 of them as President. Seana's educational background includes a B.A. in Sociology from UCSD and she has completed several short courses in cheesemaking and dairying at Cal Poly University in San Luis Obispo and the University of Wisconsin. Seana's former career as an administrator in scientific research institutes gave her lots of experience with grants, budgeting and regulatory compliance, all extremely valuable for life as a cheesemaker and small business owner! Dave grew up in the hills of Oakland, moving to Southern California for college. Like Seana, Dave had no farm experience and his exposure to fine cheeses did not come until young adulthood when he came to love gourmet food and cooking. Dave even pondered going to culinary school and spent some time working in a restaurant kitchen. Now Dave is the Co-Owner as well as Cheesemaker and Facilities & Operations Guru at Bleating Heart Cheese. He is a member of the American Cheese Society, and the California Artisan Cheese Guild where he has served on the Cheesemaker Education Committee and the Regulatory Affairs Committee. Dave earned a B.A. in Chemistry from UCSD with minors in both Biology and Economics, and he has completed courses in cheesemaking and animal science at Cal Poly University in San Luis Obispo and Santa Rosa Community College. Dave's other passion is beer; he completed the UC Davis Master Brewer Program in 2009 and has worked at Stone Brewing Company in San Diego and Moonlight Brewing Company in Santa Rosa. Dave's other area of interest and experimentation includes charcuterie, so who knows....maybe one day we'll have our own Bleating Heart line of handcrafted charcuterie and meat products, and a brewery! In his former career, Dave managed a large scientific research laboratory at a world-renowned institute, so we are fortunate to have him apply those operations, facilities, management and laboratory skills here at Bleating Heart. Dave also directed the build out of the creamery, doing much of the work himself.